In 2016, 70 million passenger vehicles were produced with one manufacturing plant easily producing between three and four hundred thousand vehicles annually. So, it makes sense that the automotive industry is known to have huge production volumes. The automotive industry is going through a transformative period and additive manufacturing is leading the way in disrupting the industry. “Potential” and “possibilities” are two words you will see sprinkled throughout this blog because it’s true that 3D printing has incredible potential and endless possibilities in reducing cost and accelerating production in the manufacturing world. But no matter the application, 3D printed manufacturing tools increase profit and efficiency while maintaining quality. Keep reading to see how the automotive industry can reduce costs and accelerate production by using 3D printing. Additive manufacturing has primarily been used in the automotive industry to produce prototype parts and models but has quickly moved from printing rapid prototyping to functional parts. As such the potential to realize tremendous savings with the use of additive manufacturing to create 3D printed tools, jig and fixtures is great. You could potentially see one 3D printing job pay for itself in mere weeks whereas traditionally manufactured production aides might take longer just to pay off the tooling. This means, over a few months and especially over a year, a company who has switched to 3D printing will see a significant reduction in costs. Waiting weeks and spending tens of thousands of dollars is reduced to waiting a few hours or maybe a little over a day and only spending money on the materials used. 3D printing provides a more efficient way of creating products that meet the existing high standards of the automotive industry. Evaluating prototypes of all applications allows for quick design iteration based on trial results or technician feedback. This is beneficial in every phase, but especially during development to test parts and quickly redesign the file to print a better part. Additive manufacturing has the potential to simplify production of tools at a lower cost than traditional manufacturing and the ability to create specialized tools are nearly endless. Making tools using 3D printing reduces production time by eliminating the al tooling components, fasteners and welding operations, which has the potential to further reduce cost and lead time. FDM 3D printed materials, for example, can offer chemical resistance (petroleum, solvents), thermal resistance (up to 390° F/ 200° C) and resilient mechanical properties which make it an ideal 3D printing solution for the automotive industry. 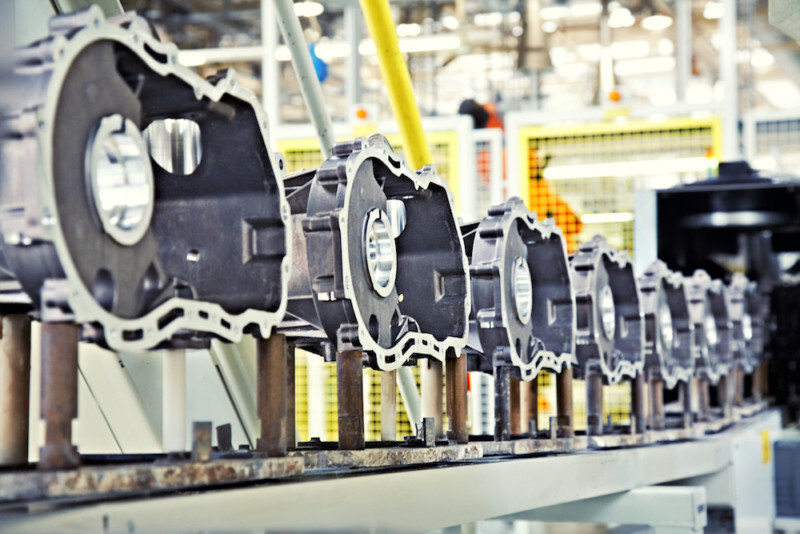 The potential to optimize and organize an automotive manufacturing shop floor is vast. To learn how, read our blog about how 3D printing is revolutionizing the manufacturing industry and optimizing the entire value chain. Another advantage of 3D printing is that the technology uses minimal direct labor so the time and cost to create a functional part are lowered. Additionally, the additive manufacturing process gives you unmatched freedom of design. Obstacles from idea to creating a usable solution nearly disappear when 3D printing is used. As the additive manufacturing process itself improves in cycle time, cost, and durability, the industry will continue its adoption and use of the technology to print production parts that meet the stringent safety requirements. We’re already seeing the cost of 3D printing decrease and the applications and functionality of printed parts are increasing meaning that now is the time to consider investing in the technology to see faster production times, higher quality of end-use parts, and lower costs across your organization. Find your solution at 3 Space.